The deep blue of the sky on a late fall day in Cheltenham. My UK ‘mum’ Val Hopkins died in May. It was quite sudden–the cancer the surgeons thought they’d removed came back suddenly. Just two weeks before I got the message that she was in hospice, she’d served me tea at her house. Her passing was so swift. I didn’t get to say a proper goodbye. You have questions about Remnant. I have answers! 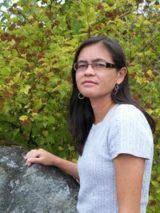 Thanks to American writer Letitia Moffitt, I have an interview to share with you. Letitia Moffitt: It seems to me you write just about everything! Poetry, creative nonfiction, stage plays, novellas, and now a dystopian novel—impressive, to say the least. What made you decide to write this particular novel and how do you think your experience writing in multiple genres has contributed to it? Big news! 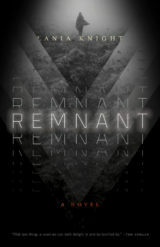 My second book, Remnant, is due out from Burlesque Press in late March at the Saints and Sinners Literary Festival in New Orleans. Please come along to celebrate with me if you’re in the vicinity! If you’re in the UK, please join me in Cheltenham on 12th April at St Andrews Church or at the Cheltenham Poetry Festival on 22nd April. I was walking home this morning in the rain. Across a busy intersection, an elderly woman with a walker stood waiting. When the lights changed, I made my way towards her. By the time I reached the middle of the intersection, three people had surrounded her, one stopping traffic, two ready to guide her to the other side.